Asus, the smartphone manufacturer from Taiwan, just announced its latest flagship smartphone named as the Asus Zenfone 5Z. The Asus Zenfone 5Z is the premium smartphone in the Zenfone 5 series which is the latest Asus Zenfone series. As far as the Asus Zenfone 5Z’s design is concerned, the smartphone comes with a notch in the middle of the display same as the iPhone X. Looking at the specifications of the Asus Zenfone 5Z, the device comes with a 6.20-inch display with a resolution of 1080 pixels by 2246 pixels and an aspect ratio of 19:9 due to the notch. Also, the device is powered by the latest Qualcomm Snapdragon 845 processor and comes with 4GB of RAM and 64GB of internal storage. Interestingly, the memory of Asus Zenfone 5Z can be expanded up to 2TB. Asus Zenfone 5Z also packs a dual camera setup on the back where the primary camera is a 12MP one. On the front is an 8MP camera for front-facing videos and selfies. The device comes with a 3300 mAh non-removable battery and is powered by Android Oreo. Asus has launched the latest Zenfone series smartphone which has been named as the Asus Zenfone 5Z. The Zenfone 5Z from Asus is launched under the flagship Zenfone 5 series of 2018. Talking about the Asus Zenfone 5Z, the smartphone has been launched by the company with various exclusive freebies which includes original wallpapers as well. 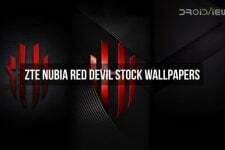 In case you are wondering, Asus, or any other OEM for that matter includes specially designed wallpapers for their latest devices known as stock wallpapers. 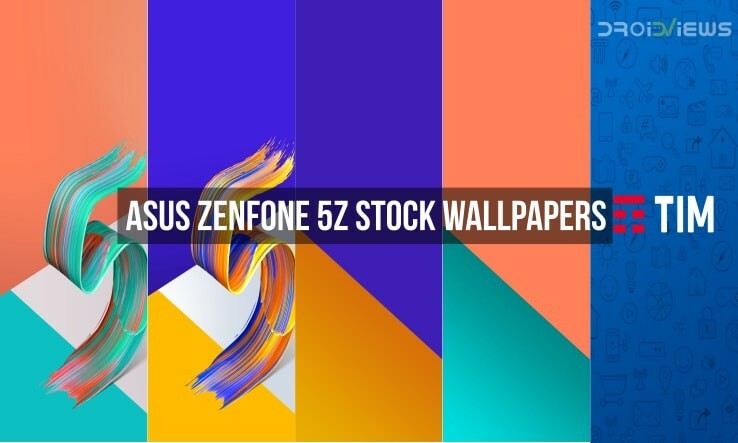 Now, if we have a look at the stock wallpapers from the Asus Zenfone 5Z, there are 5 wallpapers which have been bundled by the company, specifically designed for this flagship smartphone. 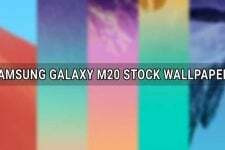 These wallpapers are available at a resolution of 1264 x 2628 pixels which comes down to an aspect ratio of 19:9 which is present on the Zenfone 5Z from Asus. In order to download these wallpapers to your device, you will have to download the zip files that have been attached to the Download Links section below. Once you have downloaded the zip file, you just need to unzip the zip file and enjoy the wallpapers from the device in original quality. Images are shown invalid after the download. Hi, I just checked the images again and found no issue. Please try both the links and let me know.